The official image site of the Agawam Historical Association. Welcome to Agawam. This is the State of Mass. 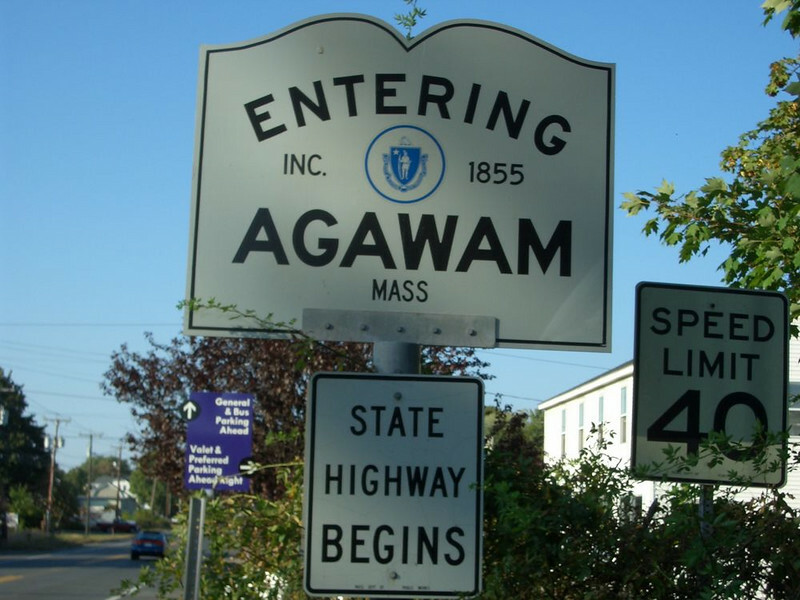 "Entering Agawam" sign on Rt. 159 (formerly Rt 5A) as you cross the Mass/CT border from Suffield, CT. Six Flags is just up the road.